Rope barriers are the perfect crowd and queue management system for venues such as hotels, nightclubs, bars, restaurants and conference centres where the décor requires a more classic and stylish control system. 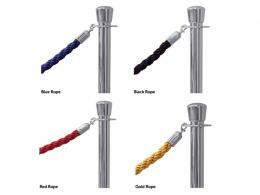 The rope posts are available with either a brass or chrome finish which will compliment most venues colour schemes. Made from a super soft material, the braided composition ensures that the rope is strong and looks luxurious. It is also possible to select the finish of the hooks that are attached to your rope to match your chosen posts, finishing the sleek and sophisticated look off perfectly. We also now stock post and rope kits. These bundles are incredibly competitively priced and include everything you need to get your queues under control straight away. Included in the kits are either stainless steel or brass posts with you choice of coloured rope. All you need to do is order and set them out as required! Simple. If you are going to be carrying out temporary maintenance work then it is crucial to make staff, guests, and the public aware of the potential hazardous conditions that could arise from the work. A temporary maintenance barrier is a cost-effective solution for traffic management and prohibiting access to restricted areas. What is the purpose of a rope? Rope barriers are regularly used in crowd control and queue management. You can see them hard at work in many diverse locations from swank hotels to sleazy B-movie theatres. But when an elegant look is sought, then this product will fit the bill to the tee. These sophisticated looking rope fixtures with spring-loaded hooks at either end are perfect for more elegant settings. 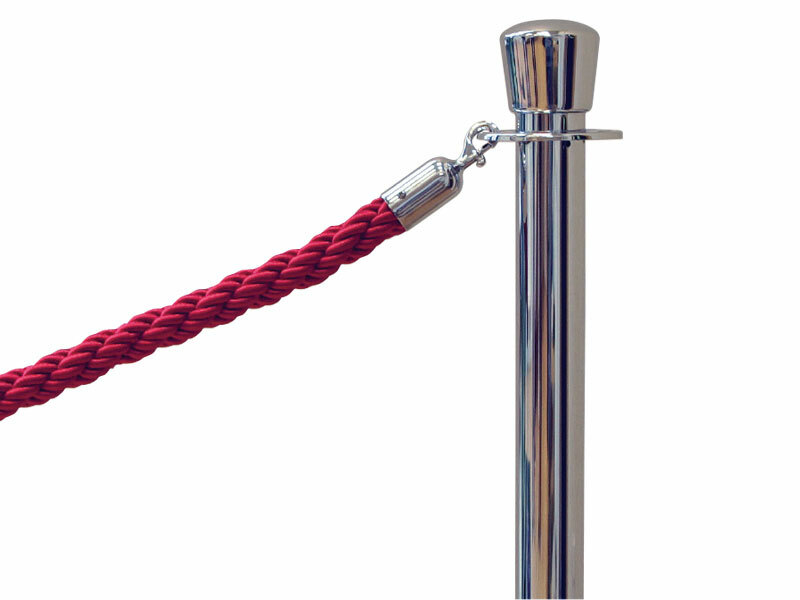 The soft, twisted pedestrian barrier rope is available in four colours, and will upgrade the look of any place that it is used in. Designed to work with standard barrier poles, this rope is a versatile and quick solution for cordoning off areas or marking restricted zones. 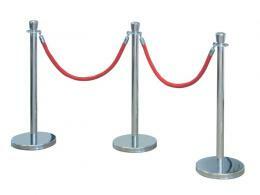 Where can a VIP rope barrier be used? Normally, this question would raise a few eyebrows because rope is possibly one of the most universally used objects in the world! However, in this case, there is a clear answer: this rope can be used along with rope barrier poles in any location that requires demarcation of a restricted area. Banks, airports, hotels, theatres, train stations, opera houses and many other such locations – exclusive and ordinary, both – are perfect places to use this braided beauty. The 1.5m length is ideal for poles that are normally placed in intervals of this distance. Since it is available in four colours, it will be easy to colour-coordinate it with the interior of the place where it is being used, making it look even more elegant. Heads of security departments are typically the main users of this product, no matter what the setting. Anyone who is responsible for crowd control, queue management, access restriction or other such function will find these ropes to be of superior quality and wanting in nothing. 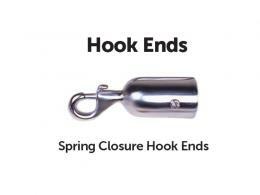 Whether a person needs spring closure hooks or open ended hooks in brass or chrome, they will find what they need. It is ideal for people who want to place barriers but don’t want it to look too severe. This product softens the appearance of the barrier, making it look more sophisticated than prohibitive. This rope is made of entwined, soft material and is available in 1.5m length. Colour choices include white, black, red and blue, and end attachments can either be ordered in brass or chrome finishes. The sturdy hooks are also available as spring closure hooks for a more secure barrier. The Workplace Depot offers a standard one-year warranty on all parts and labour. Our ropes fully comply with all local council and government regulative manufacturing requirements to ensure the safety of your customers and staff. Rope is one of the few manmade objects still in use today that dates from prehistoric times. It is believed that the original versions were merely plant fibres available in nature. Twisting and braiding soon followed, giving rise to rope-making as a skilled craft. Evidence has been found that could date the humble - but indispensible - rope to over 28,000 years ago!